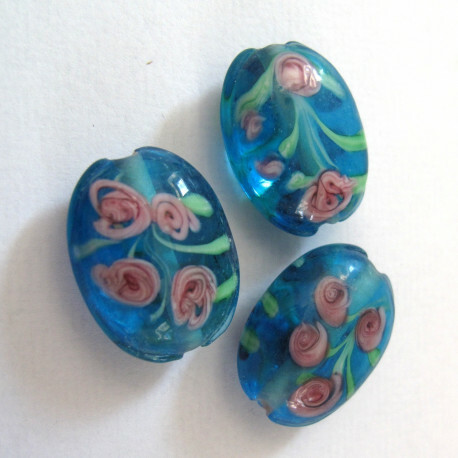 lw21 - blue bead with pink flowers. > Beads>Glass beads>Blue glass beads>Blue bead with pink flowers. LW21 - Blue bead with pink flowers. Approx. 20 x 16 mm.